We understand. We avidly believe that integrity and transparency should be the rule not the exception in this industry. This is why we’ve put together a list of billing tactics other restoration companies don’t want you to know. 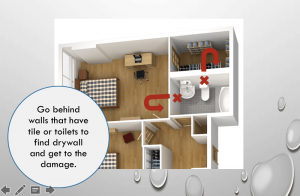 By keeping these tips in mind, you may significantly reduce your water mitigation cost when dealing with your water damage restoration company. 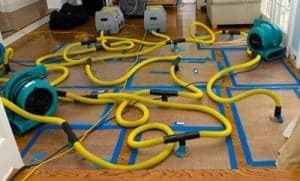 Restoration companies bill per piece of equipment that is used. Some companies will claim you need more equipment than the job requires in order to rack up a higher bill. How do you know if they’re using too much equipment? There’s an industry formula used to give us a better idea of the kind of equipment we need. For every 10-14 Ft of wall, and in every offset, you should have an air mover. Another recommended formula is to place one air mover per 60-150 sq.ft. If you’re tripping over the equipment when you walk into a space it may be a red flag. The formula for dehumidification is more complex than that of air movers. Click on the link to learn more about the dehumidifier formula. Size of equipment also matters as bigger equipment cost more. You may be billed for an X-large dehumidifier when all you need is a standard size. To give you an idea, an extra large dehumidifier is ideal for a lobby or large area, not a room in an apartment. We have seen many companies bill for X-Large dehumidifiers that are placed in bathrooms or small bedrooms. This can add extraordinary costs to your water mitigation bill. Some companies may claim that their estimate is competitive when it may not be at all. For example, some companies may claim they used Xactimate, an industry pricing tool for property claims, to generate an estimate as a way to ensure they’ve given you the best price available. However Xactimate only suggests what you should charge according to the current market but it does not force you to pass that estimate on to the customer. Meaning, the original pricing that is generated can easily be increased. But some companies will hand you an altered quote and claim it was Xactimate’s original estimation. Our suggestion? Do your homework. Request a price list from another company to get an idea of what your costs should be. The Water Restoration Group will be glad to review a water mitigation project to ensure there’s no funny business. We use Xactimate’s exact pricing. Property owners and managers may be misguided when it comes to demolition. Ask whether it’s really necessary? But how can you be sure? Let us paint you a picture. If you have water damage in the bathroom and the restoration company suggests they need to tear down the tiled bathroom wall to get to the damage, consider what’s behind the bathroom. It could be a closet or room wall. It is much easier, and cost effective, to go around and break through dry wall to dry out or remediate the damage than it is to tear down a bathroom wall that most likely is tiled and will cost a substantial amount to reconstruct, especially if tile, sinks, or toilets need to be removed. 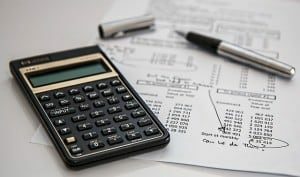 Drying out a space can be extremely expensive when you calculate the amount of time and resources you will be billed for. For instance, replacing carpet padding outweighs the cost of drying it out which require per diem rental equipment and labor. Carpet padding can be replaced quickly and inexpensively. The same holds true when drying out or remediating mold in a bathroom. Never allow the restoration company to go through tiled walls or walls where they’d have to remove toilets or sinks, if there are other ways around it. Have them go to other areas and break through drywall to get to the damaged areas, whenever possible. The logic seems obvious, but you would be surprised how often this practice is seen in our business. We realize you have a duty to protect your property as well as meet your bottom line. We recommend you appoint an employee to spot check the technicians on the initial inspection and throughout the project. Invest in a moisture meter to confirm their findings. You can find one at JonDon.com for about $100 and up. Once the project begins, be sure to have a log. All water mitigation technicians should be logging in and out every time they are on site. Don’t be afraid to have them feel as if you are breathing down their necks. If the restoration company is honest, these measures won’t offend them. We hope that by shedding light on the dishonest practices in the restoration industry we encourage companies to do what’s is in the best interest of the client. Flooding and fires can be devastating and frightening for both property managers and owners alike. Water mitigation bills are already costly, there’s no need to add insult to injury by claiming more damage that is not there.